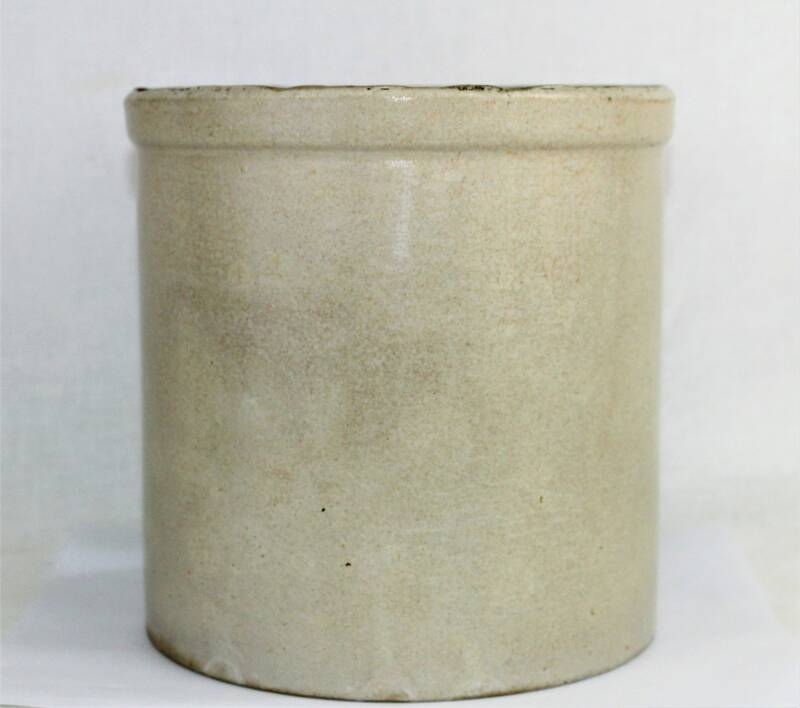 We have for sale an Antique One Gallon Buckeye Pottery Co. Stoneware Crock. 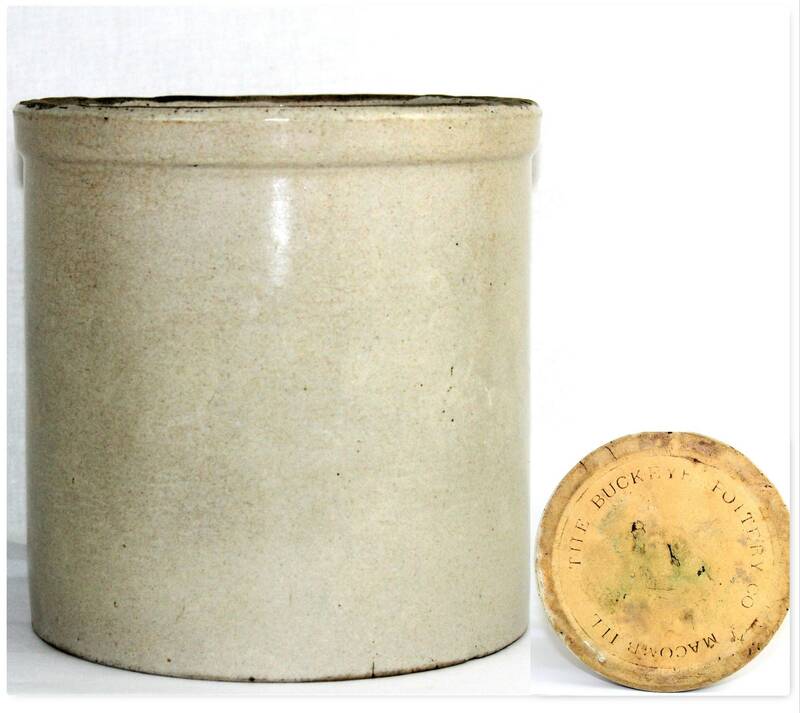 Wonderful and rare stoneware crock made by The Buckeye Pottery Co of Macomb ILL. The Buckeye Pottery Company was only around for a short 56 years stunted by the lack of business during the Great Depression. 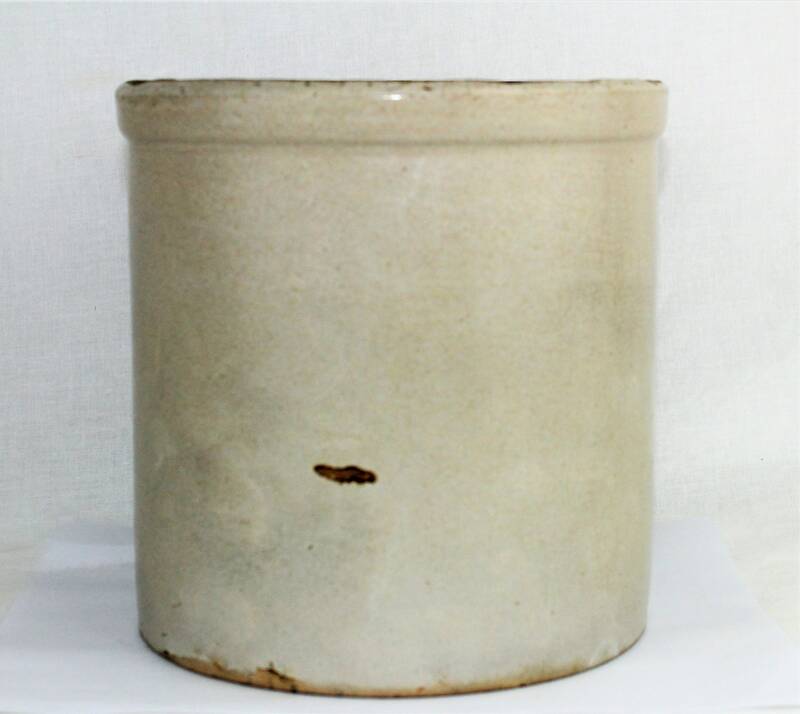 This crock is marked on the base (The Buckeye Pottery Co. Macomb ILL). 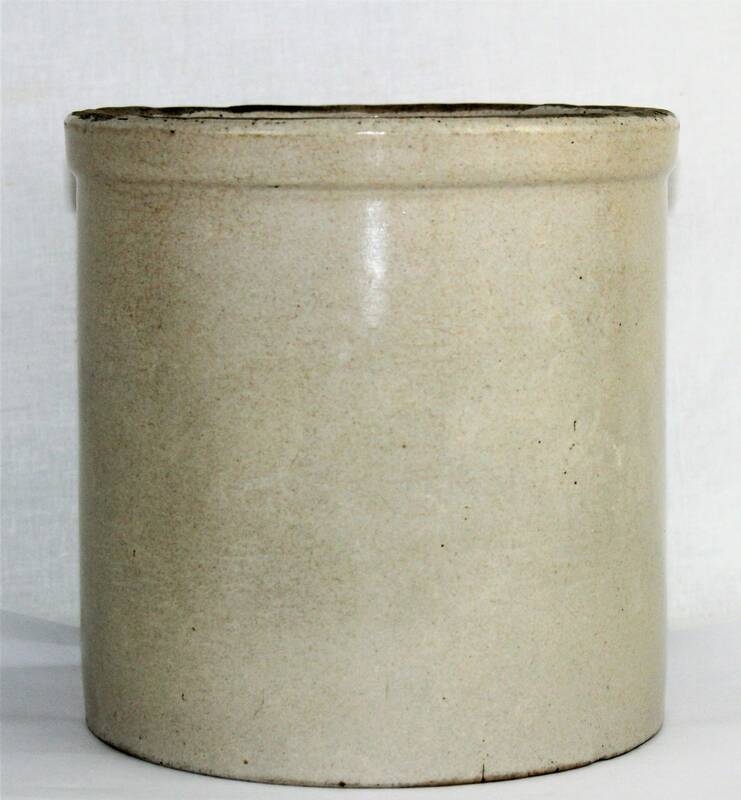 It is a wonderful hand thrown crock with a couple glazing flaws which only add to the vintage patina. 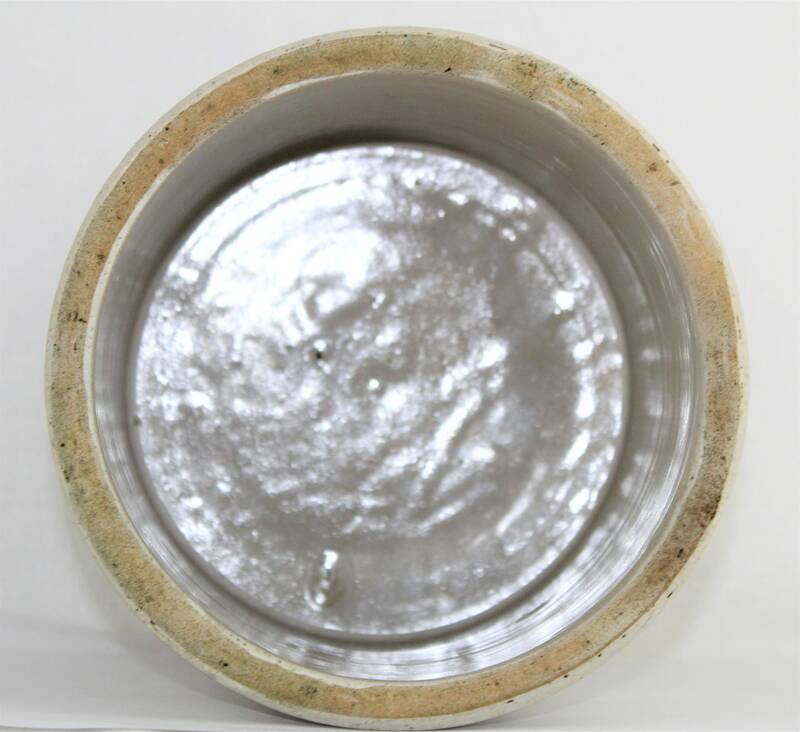 This will make a wonderful addition to anyone’s collection or a beautiful home décor piece. 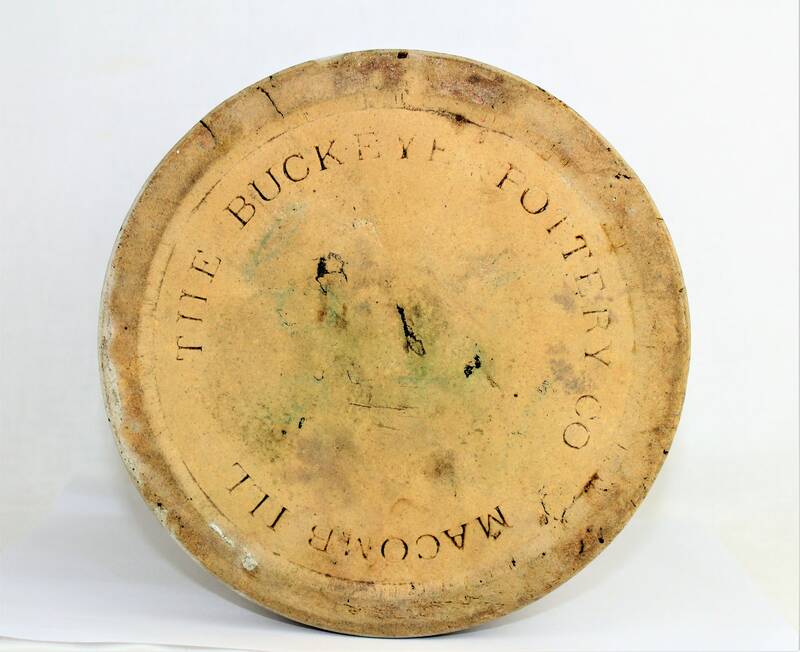 The Buckeye Pottery Company was started by Joseph Pech and his sons in Macomb ILL in 1882. 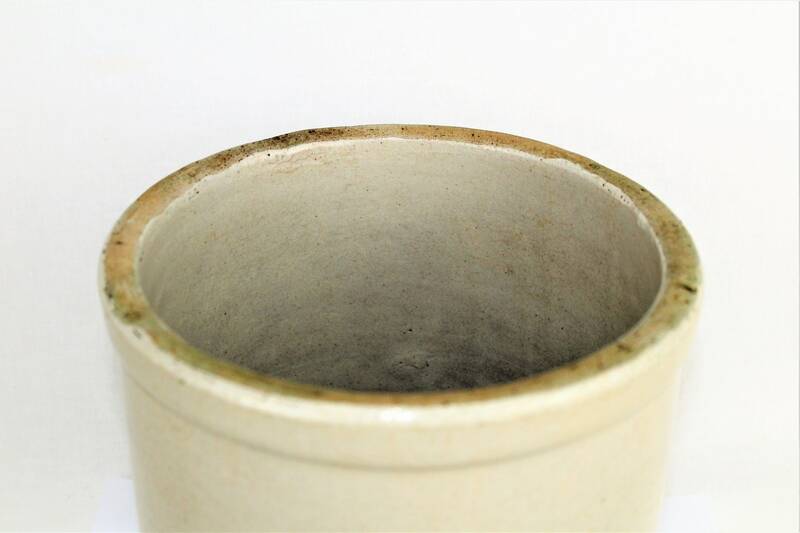 There pottery was labeled Joseph Pech and sons until the later part of the 1800s when they switched to the Buckeye Pottery name and later added the Blue Ribbon Logo. The family closed the company in 1938 due to low sales. 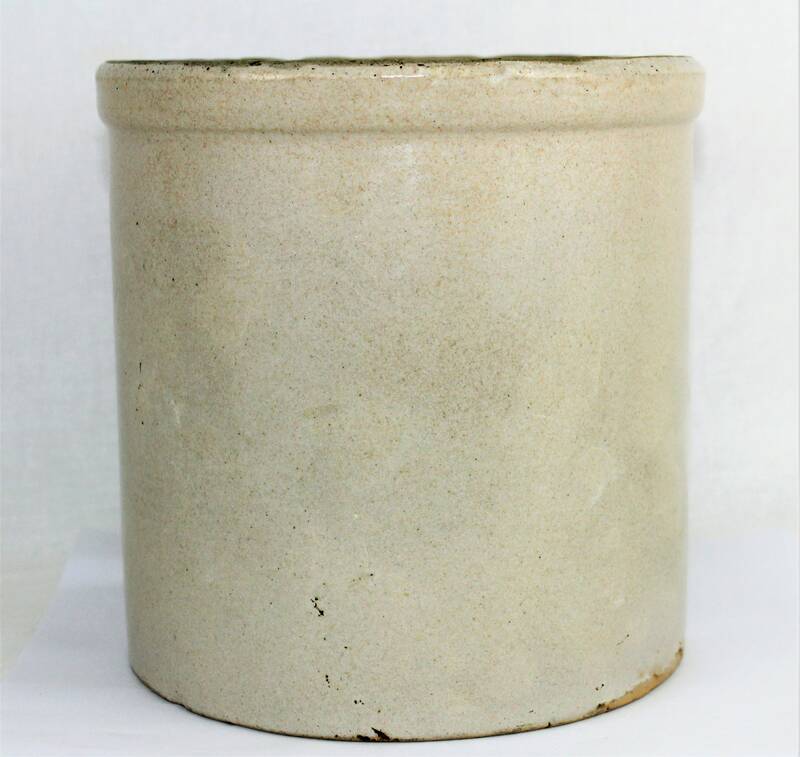 Measures; 7 ¼” diameter at base, 7 ¾” height, weighs 6 pounds. Condition: Vintage with lots of patina, has glazing flaws as shown in pictures.